December 6 Summary of Known Deadlines.NLIHC has updated its summary of known application deadlines from the FEMA website. The summary includes deadlines for programs administered by FEMA, SBA, DOL, SNAP, and HUD. Letter to OMB. On December 1, thirty-two members of the Florida and Texas congressional delegations sent a letter to Office of Management and Budget (OMB) Director Mick Mulvaney expressing their “strong dissatisfaction with the utterly inadequate disaster supplemental appropriations request from the OMB.” Earlier that day, the bipartisan group of representatives met to discuss how to use their leverage to increase disaster funding in the third supplemental. Voucher Portability. HUD will target $15 million to help public housing agencies (PHAs) in disaster areas that have experienced significant increases in Housing Choice Voucher portability costs. Portability is the term that refers to a household with a voucher moving from (“porting”) the area of a PHA that provided the voucher (the “initial PHA,” such as Puerto Rico) to use their voucher in another area where the voucher program is operated by a different PHA (the “receiving PHA,” such as Orlando, Florida). This targeting policy was announced in Notice PIH 2017-26 on December 5. The source of this money is a $75 million set-aside in the FY17 Appropriations Act. Initially, HUD limited access to the set-aside for PHAs anticipated having insufficient voucher funding to renew existing vouchers (a “shortfall”), which would have resulted in the termination of households’ voucher assistance. HUD indicates that it has provided all of the shortfall funding thought needed. Hence, the remaining $15 million set-aside is being targeted to “initial PHAs” in disaster areas to cover their increased portability costs. Housing Fact Sheet. A FEMA fact sheet lists housing options available to survivors of Hurricanes Irma and Maria in Puerto Rico who are unable to return to their homes because they are uninhabitable or inaccessible. With only a few exceptions, application deadlines are in March 2018 and include resources from the U.S. Small Business Administration, HUD, and USDA. Direct housing resources include Tu Hogar Renace (Your Home Reborn), Transitional Shelter Assistance, Direct Lease, Multi-Family Lease and Repair (MLR), and Voluntary Agencies in Leading and Organizing Recovery (VALOR). 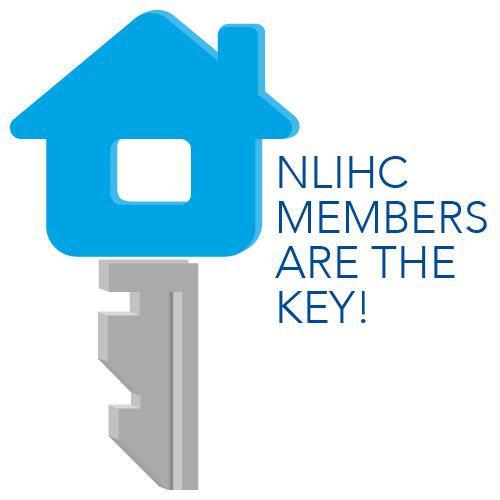 Financial resources for housing comprise the Individuals and Households Program (IHP), Other Needs Assistance (ONA), Rental Assistance, Home Repairs, Low Interest Disaster Loans, Immediate Foreclosure Relief, Mortgage Insurance and Home Rehabilitation, and USDA Loan Programs. Human Services Programs offer Disaster Unemployment Assistance (DUA) and Disaster Legal Services (DLS) with January and September 2018 deadlines, respectively. HUD Visit to PR. HUD Deputy Secretary Pamela Patenaude is joining members of the HUD Disaster and Recovery and Long-Term Housing Team on a trip to Puerto Rico this week. The trip will allow HUD officials to meet with key stakeholders to better understand the island’s recovery needs. FEMA extends TSA to January 6 for Florida. On Friday, December 1, FEMA issued a news release stating that Hurricane Irma survivors in Florida receiving Transitional Sheltering Assistance (TSA) may get an extension to stay temporarily in hotels while they look for an alternative place to live. Eligibility is extended from December 3 to January 6, with hotel checkout on January 7. Participants in the program will receive a phone call regarding their eligibility for the extension. Hurricane Irma survivors who may be eligible but are not currently in the program are notified automatically. FHA Public Awareness Campaign. HUD and the Texas General Land Office (GLO) launched a public awareness campaign informing homeowners of resources to avoid foreclosure and finance repairs. In a press release, HUD Secretary Ben Carson said the “goal [of the campaign] is to give owners of damaged FHA-insured properties the time needed to focus on repairing their homes.” Those struggling to make payments should contact their services to discuss assistance resources. The Federal Housing Administration (FHA) extended its foreclosure moratorium through February 21, 2018. Rebuild Texas Commission Update. As of November 29, the Texas Commission to Rebuild Texas reports that 891,988 individual assistance applications were received, 13,110 households were sheltering in hotels through FEMA’s Transitional Sheltering Assistance (TSA) program, and more than 2,800 manufactured housing units, travel trailers and non-motorized recreational vehicles, were being installed or had been turned over to displaced families. Lack of Drinking Water. The Texas Commission on Environmental Quality reports that more than 3,700 people near the Texas Gulf Coast have not had access to clean drinking water since Hurricane Harvey. Water-boil notices have remained in effect for more than three months for these coastal communities. Report on Harvey Impacts. A new report from the Kaiser Family Foundation (KFF) examines the impact of Hurricane Harvey on different racial and ethnic groups as well as geographic region. The researchers found that Black and Latino residents were more likely to suffer from property damage and loss of income as a result of Hurricane Harvey. However, white residents received assistance at a higher rate than people of color. The report also discusses new and worsening health conditions as a result from a lack of care. KFF also conducted a survey that found two-thirds of residents across 24 counties in Texas suffered financial or property damages as a result of Hurricane Harvey. One in nine of these residents remains displaced. Forty-five percent of those who suffered losses say they are not getting the recovery help they need, and 42% percent say they are not confident recovery funds are going to those most in need. Lessons from Dolly. Although Hurricane Dolly hit south Texas nearly a decade ago, ensuing troubles in the small town of Port Isabel can offer several lessons for Harvey recovery. Following Dolly, Texas Appleseed filed a law suit against the city for violating the Fair Housing Act and other civil rights laws by delaying the reconstruction of public housing with mostly Latino residents. These events remind us that funds earmarked for recovery need to be disbursed quickly and efficiently and renters need to be prioritized for funding. Additionally, the events in Port Isabel demonstrate that city officials need to ensure they are treating all residents equally.